News - News - AUDI HUNGARIA Zrt. Beijing/Győr, 25 April 2016—The third generation of Audi TT is most of all characterized by emotional design and dynamic drivability. 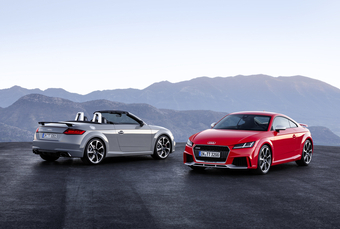 The new Audi TT RS, which was introduced with a newly developed engine at the Beijing car salon, represents dynamism and sporty character perfectly on the road. 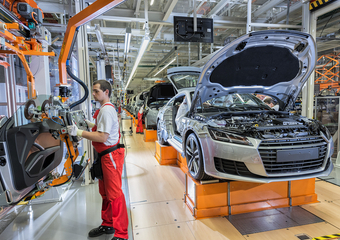 Both the newly developed five-cylinder engine and the Audi TT RS are manufactured in Győr at Audi Hungaria. 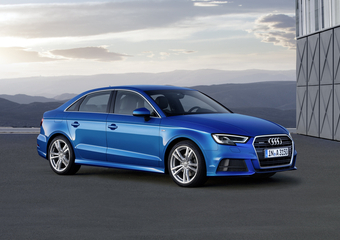 The series production of this model will start this year at the Győr site of Audi. 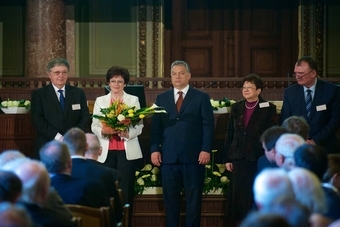 Győr, 15 April 2016—Another example for social responsibility: AUDI HUNGARIA MOTOR Kft. put an Audi A3 Limousine (made in Győr) at the disposal of the non-profit healthcare organization of the Győr emergency physicians. The keys of the vehicle were handed over by Peter Kössler, Chairman of the Board of Management to Zsolt Borkai, the Mayor of Győr. 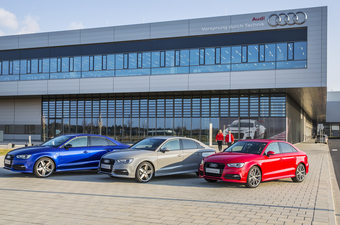 Győr, 13 April 2016—1000 pieces of limited edition Audi A3 Limousine models are coming off the production lines of Audi Hungaria in these weeks. Ingolstadt/Győr, 6 April 2016—The Audi A3 model family including the Győr-made models Audi A3 Limousine and Cabriolet now come up with new driver assistant systems, new engines and redesigned headlights and rear lights. Győr, 4 April 2016—An outdoor fitness park was established through the investment of the local government of Győr, city with county rights, and with the special support of AUDI HUNGARIA MOTOR Kft. The fitness park was developed fully from Hungarian resources in the “Barátság” Park of Győr, to offer complex exercising opportunities for people of all ages. 11 March 2016 – AUDI HUNGARIA MOTOR Kft. and the Audi TT Owners Club (situated in Germany) support the activity of the “Gézengúz” (means: “little rascal”) Foundation in Győr with a mutual donation. 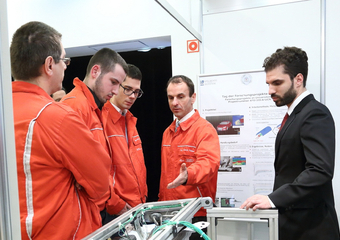 Simulation-supported design; new testing methods; upgraded production technologies and processes: just a few of the many interesting topics the audience could listen to on the Audi Hungaria Research Projects Day. You can read our earlier news on the Archive page. If you need further information concerning our press materials, please, contact our colleagues at the Corporate Communication Department.